Having spent the last 19 years of my life playing video games, I’ve racked up a large list of games from my childhood that I’d love to see get a new lease on life. I’ve also got a list of games that I never got to play that I would also love to see get the same treatment so that it’s easier for me and others to finally experience them. Gems don’t deserve to be lost to time simply because they got old. Remasters/Remakes and backwards compatibility ensure that these older games live on into the future where old fans can revisit them and new fans can discover them. So, it bugs me whenever people bash either of these practices, often times because of misconceptions. As a result, I want to set the record straight on both of these topics and I’ll do it in one article, starting with backwards compatibility. When moving on to a new generation, we eagerly anticipate new titles built from the ground up for our brand new systems. The desire to go back to our older consoles to play our old favorites gradually diminishes as time goes on. We move these clunkers into a box and then into the closet where they collect dust for all eternity. It isn’t that we don’t want to play our old favorites. We often crave it, especially when newer games pale in comparison. But the prospect of unhooking our fancy new system and hooking up the older console, only to then do the reverse once we’re done with that one game we really wanted to play, isn’t exactly all that appealing. That’s where backwards compatibility comes in. It allows us to bring those old games forward and continue playing them while leaving the old systems in the closet. Your current system of choice becomes a one-stop shop for all your old favorites, and for someone who just got into gaming, it provides a great way to access gamings greatest hits without having to track down an older console on, say, EBay. While the returns may not always be significant, it can definitely go a long way to pleasing your consumer base. The primary misconception that I normally see when the topic of backwards compatibility arises is that the publisher should be focusing more on new experiences rather than wasting manpower and resources on bringing older games to the platform. The truth of the matter is that this is not hindering that one bit. A company like Microsoft spends far less resources on a project like this than they do making new IP’s or new entries for existing ones. The teams handling it are also internal teams rather than your average developers. They won’t be making any actual games for quite a long time if at all. Supporting backwards compatibility does not detract in any way from Microsoft, Sony, or Nintendo’s ability to produce new games. The future of backwards compatibility also looks brighter than ever. In the past, the feature was shaky at best. Microsoft brought original Xbox games to the Xbox 360, but their performance wasn’t always great. At launch, the Xbox One lacked backwards compatibility of any kind. Now, Microsoft has made a fantastic system for backwards compatibility, not only allowing Xbox One owners to buy and play OG Xbox and Xbox 360 games alongside their X1 titles, but also improve them to varying degress depending on the model of Xbox One you own. And as a bonus, when the next Xbox eventually releases, all your OG Xbox, Xbox 360, and Xbox One games will carry forward as part of Microsoft’s commitment to keeping these older games alive and the fans happy. This initiative, however, is not stopping Microsoft from pursuing new IP’s and continuing old ones. They have the least amount of first party developers, and as such they need to establish new studios, staff them, and then either hand them an old IP to develop new games for, or create new IP’s from scratch. Regardless of which they choose, the development process takes time, and Microsoft doesn’t want to tip their hand too early. So while it may seem as though they have no first party titles on the horizon, the truth is that they likely have more games being made exclusively for the Xbox One and Windows 10 platforms than gamers are aware of, they just aren’t ready yet. Nintendo has always supported this feature, though only a generation to generation basis. That is, unless the format completely changes. You can play GameCube games on the Nintendo Wii, and you can play Wii games on the Wii U, but not GameCube games. The GameBoy Color could play original GameBoy games. The GameBoy Advance supported GBC games. The DS supported GBA games, and the 3DS supports DS games. However, the GameCube obviously cannot play Nintendo 64 cartridges, and the new Nintendo Switch can’t support either Wii U discs or 3DS cartridges. The Nintendo Wii also later saw a smaller version of the system that completely dropped GameCube support. Nintendo has largely kept their older catalogs of games alive thanks to their virtual console emulation, and they’ve promises that NES and SNES games will eventually make their way to Switch digitally, though word on whether or not N64 and GameCube games will make their way to the system in the future has yet to come, though given Nintendo’s history, it seems likely they will. Sony, however, has the rockiest history with backwards compatibility, and their future with the feature doesn’t seem all that bright. While the PlayStation 2 was backwards compatible with the PSOne, the PS3 is where things started to fall apart. Originally, the fat model of the PS3 supported both PS1 and PS2 games, which was fantastic. However, PS2 support was dropped from later models, leaving only PS1 support. PS2 games then began to come to the system digitally, though you had to rebuy them to play them(Note: It’s the same with Nintendo, though you can still play the game if you have the disc or cartridge. If you do not, you have to rebuy it.). The PlayStation 4 took an entirely different approach to the feature. Due to PlayStation 3 games being difficult to emulate thanks to the PS3's proprietary Cell processor, they’re only playable via the PlayStation Now streaming service, which costs an additional fee. Your PS3 discs won’t work. PS1 and PS2 games are coming to the system, but as digital only titles. Your PS1 and PS2 discs will not work. As far as Sony is concerned, backwards compatibility, the kind that Microsoft and Nintendo have featured to great success, is not in the cards for their platforms as they’re focused entirely on new experiences, preferring to let older games rot unless developers want to re-release them on the system in some form. Backwards compatibility is a feature with zero negatives. It takes nothing away from the development of new games, and gives everything to gamers that want to experience the classics. But what if those games are so old that its harder for new players to really get into them? Well, that’s where remasters & remakes come into play. 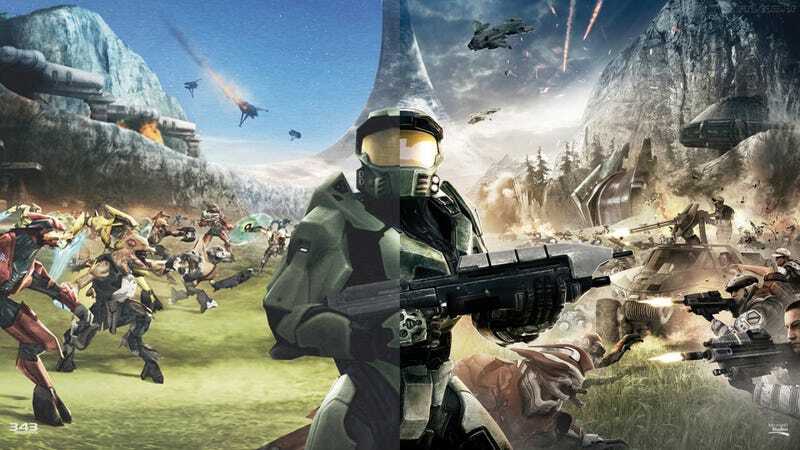 Backwards compatibility is fantastic for keeping old games alive, but sometimes those vintage versions aren’t for everyone, and nostalgia can sometimes make us think that those old games are better than they actually are. Newer games who weren’t then when the game was brand new might find it difficult to play or hard to look at. The key to expanding a games audience, as developers and publishers have learned, is to give these games a fresh coat of paint and sell them once again. This trend truly began in the seventh console generation with the advent of the HD remaster. Developers took old PS1/PS2/OG Xbox games and improved the controls as well as the graphics to better suit the modern HD era. This gave games a chance to shine once again and they found more fans that they did before. This escalated with remakes towards the end of the seventh generation, and a full blown barrage of remasters in the current eighth generation that rival the number of current-gen exclusives. This has led to... problems. The first problem that typically crops up is that gamers see so many remasters coming out, that they miss the forest for the trees. It’s like an eclipse. They see Spyro and Shadow of the Colossus and miss, say, Ni no Kuni II because there are two remasters and only one new game. This leads to frustration because it feels like they’re just paying to play the same games they played before, just prettier, and not playing anything new. It’s not an invalid complaint, but at the same time there are so many new IP’s and new installments in old series that if you’re focusing on the remasters, you may need to get your eyes checked and priorities straight, because there’s a lot more there. If you’re not excited for the blast from the past, then remasters aren’t for you and you need to just ignore them. Part 2 coves why. The second issue is the misconception that publishers pump all this time and money into remasters that they could be using to make new games. It’s the same argument that pops up with backwards compatibility. The answer is the same as before: These remasters don’t cost as much to make as brand new games do, it’s like a single drop of water splashing into a large lake. The publishers barely register the blow to their coffers. They also often outsource these remasters to developers who specialize in them or otherwise don’t work on anything really important, leaving the publishers primary developers to continue working on new titles where the publisher sinks most of their money. Remasters are ultimately harmless and provide a new way to experience old favorites, while also serving the dual purpose of gauging interest for new installments for these series and giving the publishers some pocket change that they can then give to their primary development studios for those new games you crave so much. At the end of the day, there’s nothing wrong with reviving the classics in any form, and their existence is not detrimental to the development of new games which have gotten increasingly longer development cycles. Remasters and plain re-releases fill in the gaps between new games that take time to be made. If neither are your cup of tea, don’t bash their very existence. Just don’t buy them, don’t play them, and let others have their fun. It was great to see what Halo: Combat Evolved would look like had it been made 10 years later, or what Shadow of the Colossus could look like on PS4. It’s also nice to be able to play Red Dead Redemption on my Xbox One X with a stable framerate, higher resolution, and improved texture filtering(And also because I don’t feel like digging out my Xbox 360 to play the game. ).